Forex trading provides many opportunities for individuals to try and make vast profits either as a hobby on the side or a full-time profession. Many of these opportunities and more can also be taken advantage of by small companies, whether their business involves currency exchange in day to day life or not. One of the main reasons a lot of new and small businesses fail is due to insufficient capital and running out of money by not earning as much as predicted. Trading on the forex markets offers another way to top up your company’s capital when done correctly. If your business is one that regularly transfers currency due to dealing with other international companies, customers or clients then it is vital you make currency exchanges at the most profitable times for your business. Wait for the exchange rate to be best at your end where possible by keeping an eye on changing rates. For example, if you deal in pounds and are paying an invoice to a client using Euros then it is more advantageous to wait until the pound is a lot stronger in the currency pair. By making the most of the market at the best times your business can make an easy profit. There are a few tax advantages to be found when trading forex that can make it an appealing option. Unlike short-term and long-term capital gains tax being applied at the current tax rate, in the forex market it is different. Whether you take your profits from a trade just minutes after entering it or wait a few months, the percentage taxedremains the same. 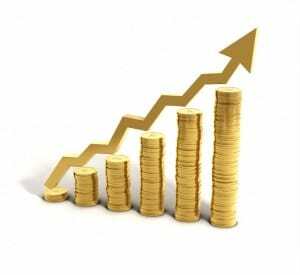 The first 40% of profits are taxed at short-term capital gains tax rates and the remaining 60% is at long-term rates. It is not worth trying to avoid these taxes by beating the system as getting caught can lead to financial ruin. If your business is thinking about forex trading on the side to top up its finances but doesn’t want to invest too much time in it then using a broker or simple to use platforms like FxPro is a good idea. Where more than one person may have access to your company’s forex account a platform such as this allows it to be installed across various computers and devices too. Consider these factors when your small business starts trading on the forex markets. That’s interesting that there is a tax advantage for forex income. I had not idea that the first 40% profit is taxed at only 15%. Nice! Great point about the tax advantages. Futures have the same benefits.